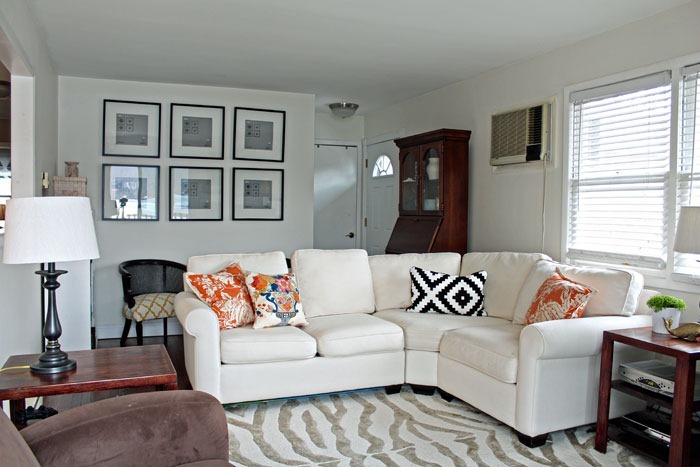 Last we saw of the living room the wall came down (which still needs to be spackled), we painted the room white and hung frames on the large wall with the intention of adding some sort of art. Well they hung on the wall empty for a while. I’m nothing if not speedy 😉 while I decided what to put in the frames. Have you ever seen something that just sticks in your head and you still think about it months later? I see lots of things I like but there are only certain things that catch my attention for the long haul. When that happens I it’s a sure sign that it’s really a great fit for our home. My most recent infatuation of this sort has been with this quilt. 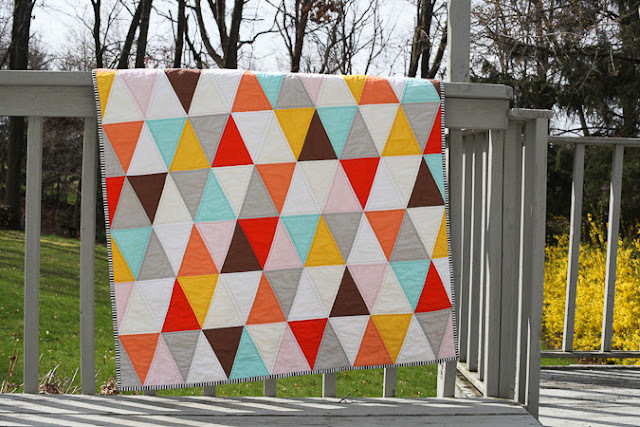 I saw this triangle quilt a few months ago from Audire at Blue is Bleu. I think it would be great for Nikolas’ room which needs some love and attention. I love the idea of snuggling up in a handmade quilt. I’ve been looking around for a good tutorial and I think I found one here. It looks simple enough for a first quilt. 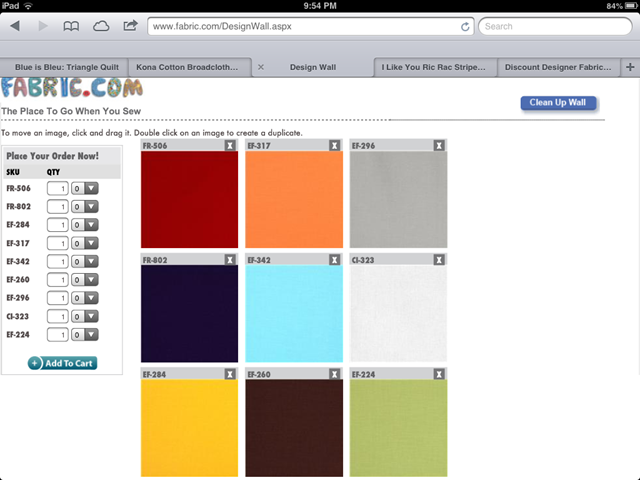 I’ve put together a color combination I like from Fabric.com. This is probably one of Ray Ban outlet those long haul projects that I’ll put down and pick back up. I like to have a bunch of projects going at the same time (if you couldn’t tell already). So my question today is has anyone ever sewn a quilt? Anything I need to know? Any tips?